Experience Years of translation experience: 13. Registered at ProZ.com: Oct 2012. Became a member: Oct 2015. 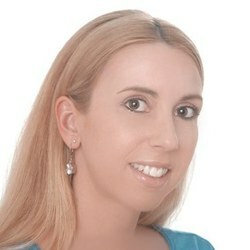 Professional practices Sarah Thonnet endorses ProZ.com's Professional Guidelines. Master´s degree in Specialized Translation: Spanish and German- Legal and Medical Translation - Universidad Internacional Menéndez Pelayo, Spain, (2017). Sworn translator, accredited by the Higher Regional Court of Cologne, Germany for the languages Spanish, English, and German. Degree in Translation Studies, University of Applied Sciences, Cologne, Languages: EN, ES, DE, Specializing in Translation of Legal and Business texts, (2006). State-certified Commercial Assistant for Foreign Languages, Cologne, Economics, Business Administration, Translation of Business Texts & Commercial Correspondence, ES/EN/DE (2001). CAT tool: SDL Trados Studio 2019. I have been living in Spain since 2005, so I am familiar with both the German and the Spanish culture, their particular characteristics and traditions, and, due to my residence in the Canary Islands, the tourism sector. Continuous improvement in my three working languages, specialization fields, and other exciting or meaningful topics is imperative to me. Before starting my freelance business, I was able to gain valuable professional experience at management level in a homeowner’s association, the tourism sector, PR, marketing, office management, and business administration. Since I am working with a broad network of trustworthy and specialized colleagues multilingual packages are available on request. I am most happy to provide you with an individual offer!